The best way to get to know a community is by scheduling a tour. See the facilities, meet the staff and residents, and get a feel first hand what it's like to live at Montgomery Village Assisted Living Assisted Living. When you step into the welcoming doors of Montgomery Village Assisted Living, you will find yourself at home, only with the amenities you want and the services you need to continue to live safely. Victorian Senior Care has worked to meet the needs of North Carolina seniors by providing homelike communities for over 50 years. We believe in quality and comprehensive care, family involvement, community outreach and staff development. When taken together these aspects create a perfect environment for compassionate care, which is at the core of who we are and what we do. We are more than just apartments, but a community of caring individuals and residents with numerous open common areas. Pamper yourself with a new style in our on-site beauty salon and barber shop or enjoy a game and chat with friends in our sitting rooms. With scheduled activities and outings, you will have plenty of entertainment. There's no need to fret about the chore of standing over the stove or scrubbing dirty dishes in the sink. Meals are served amongst friends in our restaurant-style dining room, prepared by our skilled culinary staff. However, if you just need some quiet time for yourself, we can even deliver it to your apartment. At Montgomery Village Assisted Living, we understand that some of our residents will reach a time when they need individual assistance with activities of daily living and our staff is on hand to provide just that. We will work with you, your family and physician with on-going re-assessments to create a care plan that fits your needs. We will help monitor and safely administer medications. We are also there to help with bathing, dressing and grooming, toileting or incontinence care. Coordinating care with other providers, helping to schedule appointments and correspondences are just a few other services we can provide. With an emergency call system and staff available around the clock to respond your safety and comfort is assured. 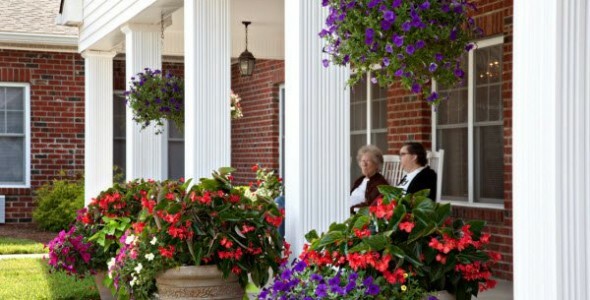 We welcome you to stop by Montgomery Village Assisted Living for a visit and join our homelike community.